Install PC Monitor: Installing and configuring PC Monitor requires just a few steps, and the default setup options should be sufficient. Install the appropriate application on each system that you want to monitor. The first time you launch the PC Monitor Manager, it will prompt you to create an account for connecting your PCs to your mobile devices (or for monitoring the systems via the Web). At your first login, enter a computer name and a group name for the system. Customize your counters: To configure a custom monitor or counter (for CPU use, say), click the System tab, and work your way through the tabs in the pane: General, Services, Network, and so on. The Schedule Tasks tab lets you enable the monitor simply by ticking a task. Under the Performance Counters tab in the System pane, you can set up custom counters based on criteria that you specify. Set up notification alerts: To get the most from PC Monitor and to have it notify you the moment something critical occurs, click the program's Notifications tab, and then click through the tabs in the resulting Notifications pane, enabling appropriate alerts as you go. These alerts may include when the computer starts up or shuts down, when particular users sign on, when someone plugs in a removable drive, or when a processor begins to overheat. More advanced notification options may require you to set up rules manually. After installing the PC Monitor app on the relevant PCs, you must install and configure the companion mobile app on your mobile devices. Select a PC: Upon signing in to PC Monitor, you should see a list of your systems. Tap a system name in the list to bring up an overview of the system. Monitor your PC from your couch: If you've enabled notifications already, all that remains is to explore the mobile app for monitoring and managing your systems. 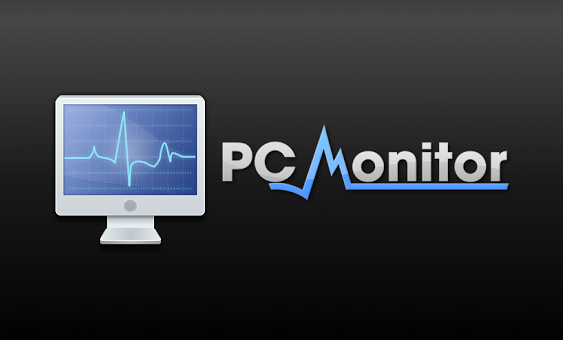 PC Monitor will send alerts if necessary, but the mobile app also provides real-time data. After you tap a system name in the left pane of the app, the right pane will become populated with system details and buttons for performing various tasks, including such options as opening a command prompt, checking for OS updates, and restarting the monitored system. In addition, you can use the PC Monitor mobile app to send messages back to the associated desktop PC, if you want to alert the PC's user. After the application is installed on a system, the PC Monitor service runs in the background. During our testing, the service rarely, if ever, consumed a detectable amount of CPU time, and it used no more than 44MB of RAM.